You are at:Home»News»Exhibitions»iVT Expo: Conference programs now available – discover who’s speaking at the four conferences! 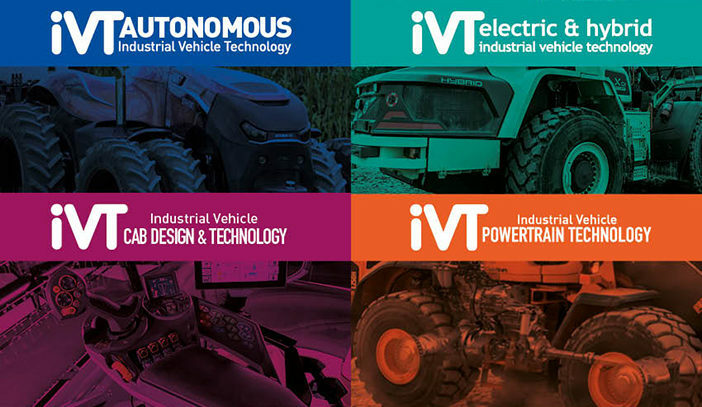 The first editions of the four conference programs that form an essential part of iVT Expo this coming February have been finalized and are now available to view on the event’s website. 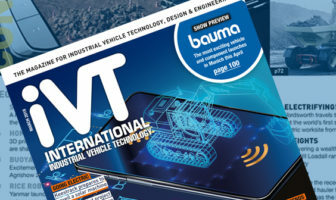 Taking place on February 13-14, 2019, in Cologne, Germany, iVT Expo will combine a free-to-attend exhibition alongside four specialized pay-to-attend conferences – Autonomous Industrial Vehicle Technology; Electric & Hybrid Industrial Vehicle Technology; Industrial Vehicle Powertrain Technology; and Industrial Vehicle Cab Design & Technology – where over 80 experts will address the critical trends shaping future vehicle development. Following the unveiling of the first 20 conference speakers last week, the latest additions to the list of experts presenting across the four conferences include Uwe Müller, chief project manager – advanced engineering, Volvo Construction Equipment, who will present papers entitled Electric Site: the future of quarries is electric and Electric Site: Autonomy for a complete site solution; Dr Terry Alger, director, spark-ignited engine R&D, powertrain engineering division, Southwest Research Institute, who will examine whether there is room for gasoline in a future industrial powertrain; Gustavo Guerra, design director, Volvo Construction Equipment, who will reveal the future of human-centric design; and Dominique Seydel, research engineer at the Fraunhofer Institute for Embedded Systems and Communication Technology ESK in Munich, who will explore resilient software architectures for autonomous systems. In total, more than 80 speakers will be presenting papers at the event. Further speakers will be named as the program is finalized, giving the off-highway designers, engineers and decision makers attending the perfect platform to exchange ideas and network with colleagues. An early bird discount is currently available – and one pass gives you access to all four conferences. Visit www.ivtexpo.com to view the current conference programs, to book your delegate pass (rates apply), or to register for your free exhibition entry badge.